It’s real…. WE’RE GOING TO DISNEY WORLD! Holy Mickey ears, this is really happening! We have been BEGGING my husband to go to Disney World for months now. One day I nonchalantly told him about some specials Disney was offering…and then I heard the words, “Book it.” What!? Was he serious!? After asking, “Are you sure?” about a million times, I couldn’t believe I was calling to book our magical vacation I have dreamed of for so long. Taking my kids to Disney World has been on my bucket list before I even had kids. Seth has never been to Disney in over fifteen years. I have gone with my high school dance team for two days, but I have never been on “vacation” there. The two days I was there, I only saw a fraction of what was available, so this will be like a first time trip for everyone. I know we will not be going back anytime soon, so I wanted this to be as magical for our girls as possible. The first item on the list was figuring out how to tell them. We booked our trip when we had 65 days left to leave…crazy, right!? Especially for first-timers. We decided it would be their Christmas present from us, and we would tell them on Christmas morning. I had been bursting at the seams for weeks. Each time Kennedy would say something about Disney, I would just want to spill the beans. Two days before our big announcement, our awesome travel agent with Magic of Mickey Travel sent us some goodies in the mail. 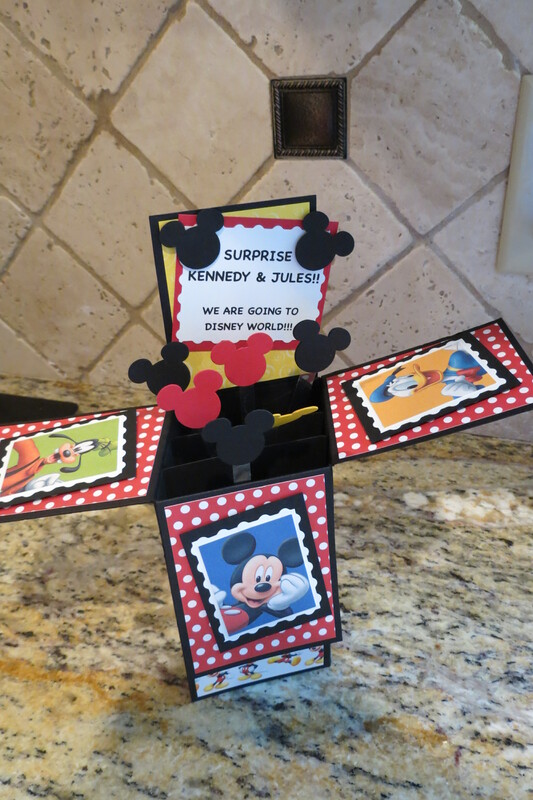 She knew the trip was a surprise, and sent a letter from the princesses telling Kennedy and Jules where they would be going soon. I had big tears rolling down my face reading the mail. I’m an emotional wreck! I’ll probably cry the entire time we are there. On Christmas morning, they woke up to see everything Santa had brought them. After the hype of the morning died down, we gave them their present from Mom and Dad.